Big Brother Spoilers > Big Brother > Big Brother 16 > New Big Brother 16 Commercial Featuring the House Guests! The Big Brother 16 Two-Night Première is just 2 days away and things are really starting to heat up! 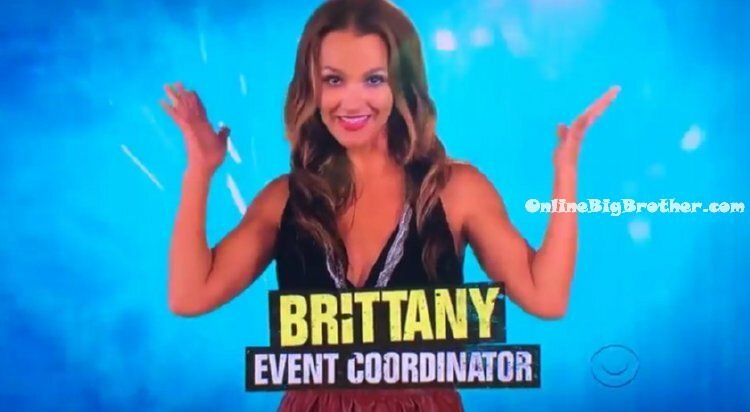 Today we got to see the media day footage where the media personalities were invited to play a condensed version of Big Brother in the newly redesigned house. CBS also started airing a new promotional commercial that features the new cast of house guests that will be moving into the big brother house. Usually the house guests move into the house on the Saturday before the première but this years cast might not move in to the house until the première. Follow: @BigBspoilers and @Dawgsbigbrother on Twitter for the most up to date spoilers. That commercial gave me a good vibe. Simon and Dawg, why don’t you alternate the names top and bottom of the cast photos at the top of the page. It’ll allow you to center the name better. Might make it look less crowded at the bottom. Obviously, I’m no website pro, I just thought I’d make a suggestion. Great suggestion I’ll give it a try tonight! I just tried it and it worked for me maybe give it another shot tomorrow. Maybe try using a different web browser than what you’re currently using? Like IE, Chrome, Mozilla Firefox, Safari, etc..
I’ve heard of other people having problems with one of the browsers but that it worked using a different one. Guys. I can’t sign up to the live feeds. Been trying all day thru your site and CBS. Was finally able to register the live feeds thru your site. Followed Dawg’s suggestion to try a different browser and switched from Safari to Chrome. Worked like a charm and would suggest others to try switching if having the same problem. Now I can sit back and enjoy another fun summer of Big Brother. Enjoy guys, and props to Dawg, Simon and fellow posters who make Online Big Brother the best BB site on the web. Big Brother 16 Producers Discuss Controversy, Competitions & Twists! Summary of Andy Herren Live Chat – Winners Tell All! Hosted by Jeff Schroeder!